The North Astrolabe lagoon offers close proximity to some excellent diving. 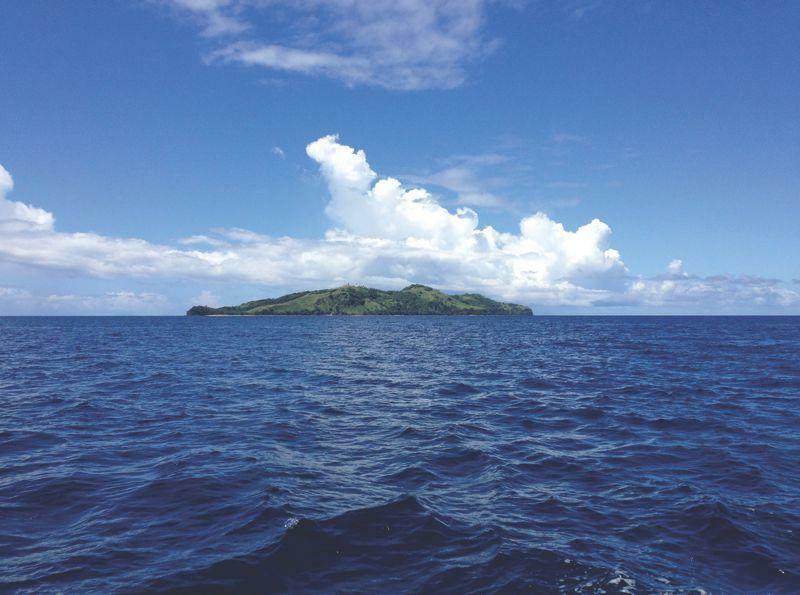 The water here is consistently 1 degree lower than the rest of Fiji owing to its location and topography and you will likely see large pelagic species, schooling barracudas, turtles, manta rays, and stunning corals. 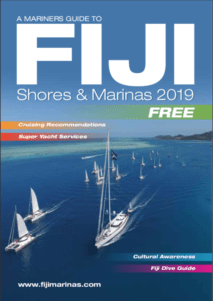 There is about 25 nm of open water from NE Beqa to Usbourne passage before you enter into the lee of the Kadavu reefs and the entrance into the North Astrolabe lagoon. 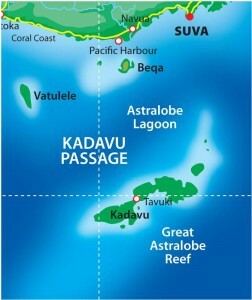 A sevusevu should be presented to the chiefly village of Dravuni before any diving/cruising in the area of the North Astrolabe lagoon. There are some nice beaches in the Astrolabe Lagoon mainly at Dravuni, Yaukuve Levu (home of the new Yaukuve Island Resort) and Namara (deserted island). There are a few dive resorts further south on the island of Ono and mainland Kadavu. People are friendly and welcoming in the villages. All of these places are off the traditional tourist route. There are great waterfalls on the southern side of Kadavu island in Kadavu village, (Captains need to take tenders in to the village at half tide rising). Close to Kadavu village is the eco-resort Matava who can spin you to the incredible Manta dive on the south coast near Galoa. The anchorage at Galoa is really is a great place to run to in boisterous conditions. The Namalata reefs to the north of Vunisea are great Sawaleke to explore with SCUBA but as always, a local guide Gau will guarantee you hit the best spot at the best time to get the best experience. See Dive Kadavu as in my experience they are the best on the northern Namalata reef side. At the most western end of the island, we have Cape Washington, which is another location for fantastic diving and surfing. 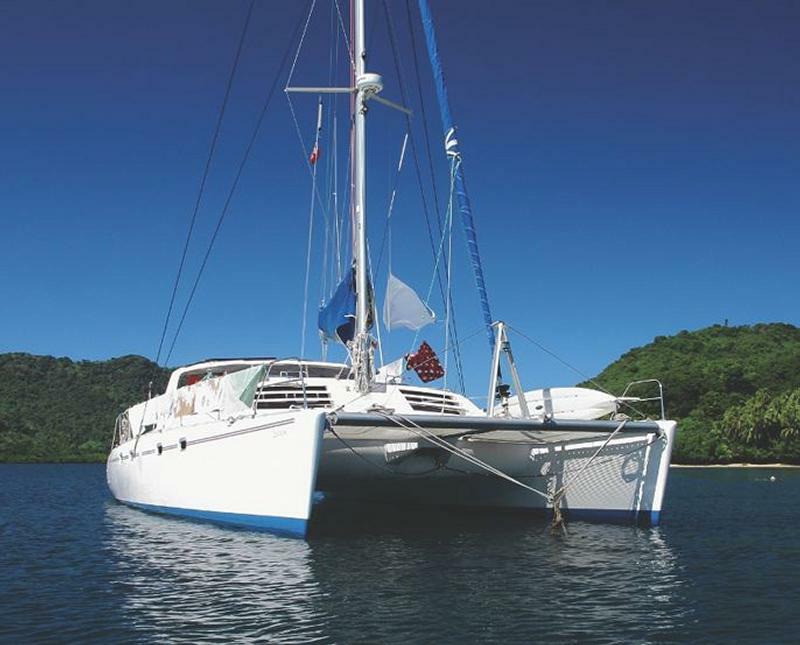 This area, which is Moala Naro about 80nm south of Port Denarau, is a fabulous cruise, particularly for those who are interested in varied diving. Alternatively, a passage between Beqa (Frigate passage) and Cape Washington is Totoya about 40nm. 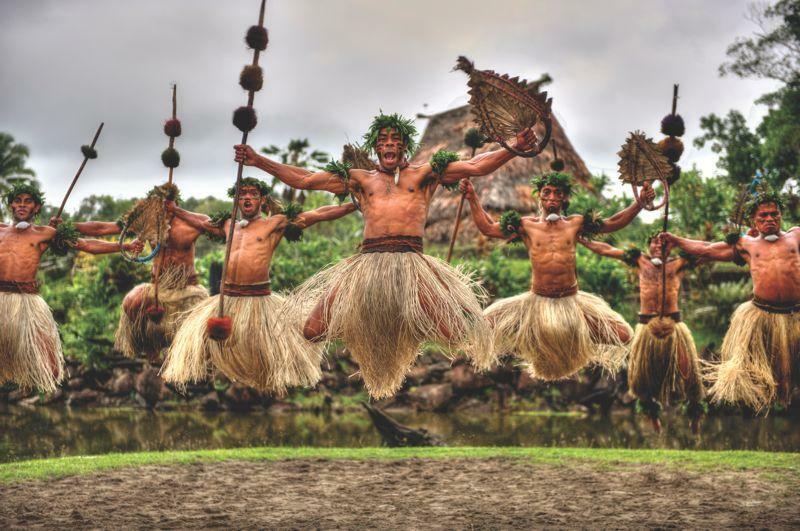 The village at Cape Washington is one of the best at putting on a Meke (traditional Fijian dance). Your sevusevu needs to be made to the village of Nabukalevuira. There is also a great surf resort ‘Naigiagia’ on the island just off Cape Washington. 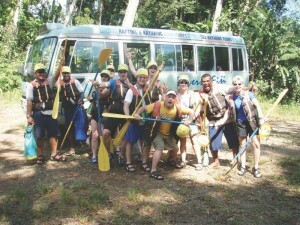 The owners and staff are very friendly and will point Namuka-i-lau you in the direction of the waves. There is a small fee payable for this to help support village projects. There is the additional option to fly into Vunisea, the main the north-western side of mainland Kadavu where you can find a small market, Government stations and a medical centre. Beqa is home to the famous Beqa Fire Walkers, members of the Sawau tribe, who can walk bare foot across blazing hot rocks! A historical encounter with a spirit God by one of their great ancestors saw the exchange of the captured Gods freedom for power over fire. 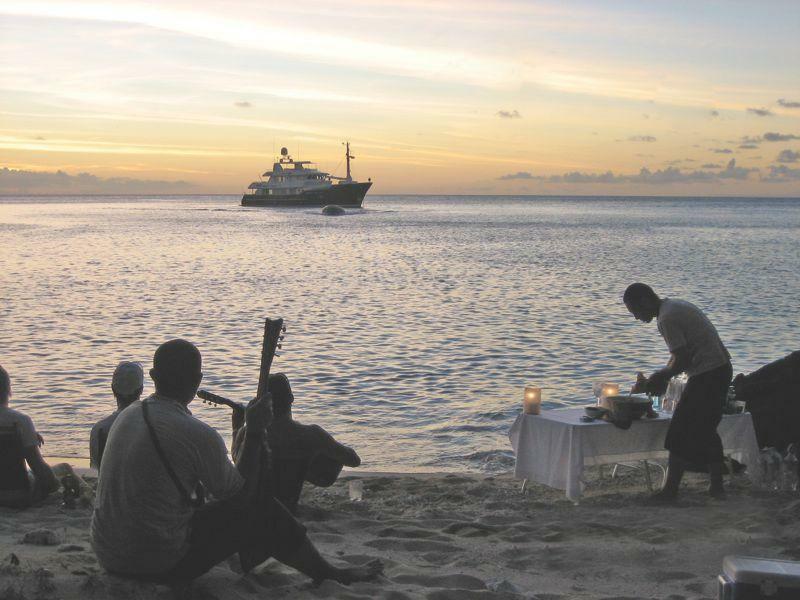 Ask any Beqa island native to regale you with their story and they will be happy to share the history of their people with you. One of the best anchorages on the NE side of Beqa is Malumu Bay. Here you will find Lalati Resort & Spa. The sapphire waters of the bay offer a safe harbour for yachts and super yachts alike. Here you can grab a nice cold beer from the beach bar, eat gourmet style island cuisine in the chiefly–style open air bure,or sign up for a spa treatment… or two. You can also go for a guided dive with a member of the resorts dive team. The Royal Davui is another boutique resort on a small island in the Beqa lagoon and is worth a visit for a snorkel and a wreck dive. 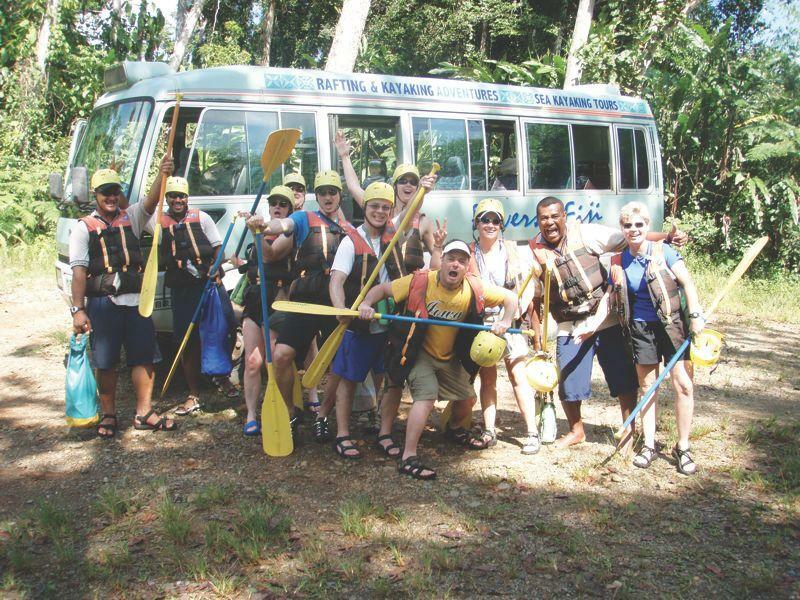 They will also serve meals and put on a meke. 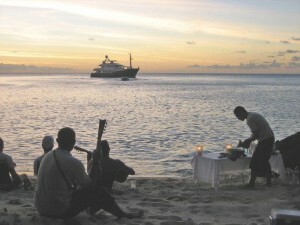 Prior permission to visit the island resort is essential. Vaga Bay on the west side of Beqa is great for a more protected night time anchorage. The surf is extremely good at Frigate Passage and fishing in the Beqa channel is renowned for hooking yellow fin tuna, wahoo and walu. From Beqa, access to Pacific Harbour is easy with anchorage outside The Pearl South Pacific Resort, and also in the mouth of the Qaranaqio River for smaller cruising yachts. In the heart of Pacific Harbour, you will find the Arts Village and Cultural Centre. Here you can witness the re-enactment of the way our ancestors once lived. 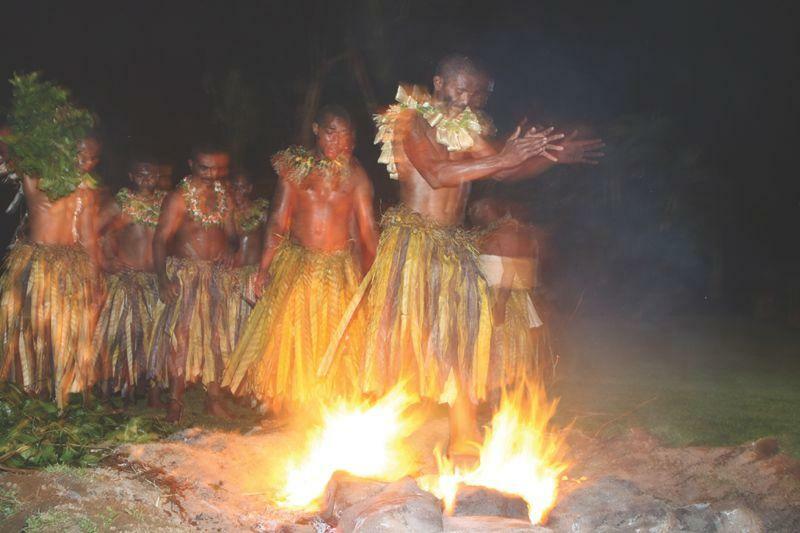 The tour ends with traditional Fijian song and dance, and a breathtaking fire walking performance by the descendants of the Sawau tribe.